Andy is an amazing driving instructor not only a great teacher but is very nice and always calm Thanks Andy to get my first time pass with only 2 faults. 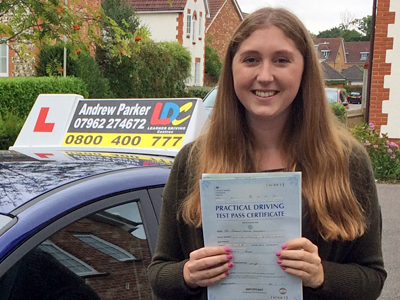 The workbook is very detailed and helpful My driving instructor Andrew is very kind and knowledgeable and gave me the confidence to pass my test with just one minor fault. Andrew has had so much patience with me He helped me relax and panic less so I could pass my test He is highly recommended. 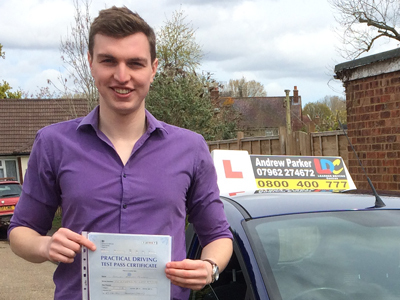 Andrew is an amazing instructor, he’s so kind and knows everything about driving. 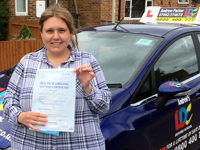 The workbook and Online theory stuff was really helpful and easy to access I enjoyed my driving lessons and felt ready for my test. Thank you Andrew I will certainly recommend you to my friends. 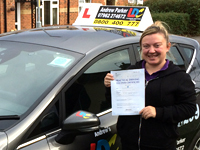 Andrew is a wonderful driving instructor who taught me the skills I needed throughout my learning experience. I would recommend Andrew to anyone as he was so kind and patient with me especially when I made silly mistakes. 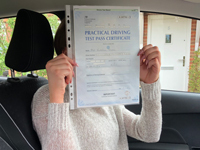 I have been with Andrew from the start to finish on my driving journey and his way of teaching allowed me to pass my test First Time even though I convinced myself otherwise. He made me feel comfortable and confident. 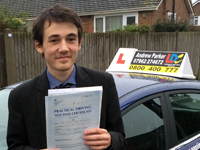 My overall experience with Andrew at LDC Driving School was a very pleasant one. Everything was easy to arrange and was taken care of in a proffesional manner. 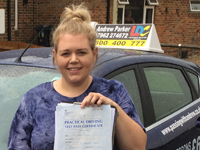 He is a very friendly and knowledgeable instructor fun and enjoyable. He gave me the best support and confidence I neede to pass my test 1st time. I found Andrew to be a friendly and patient instructor. The LDC workbook was very useful to review lessons and helped to study prior to next lesson . The online theory test preparation resources were also very useful . I found the training with Andrew and LDC to be really good and comprehensive. 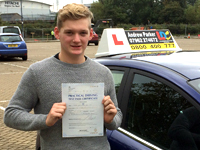 His friendly attitude put me at ease and helped me pass my test first time. 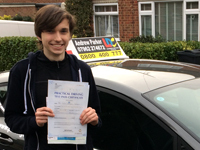 Andrew was very patient and encouraging throughout my lessons and gave really good feedback when things were not quite working well. I had lots of issues with nerves and anxiety especially on test day. However Andrews calm approach helped to overcome these issues I would recommend Andrew to anyone I know. I really found the way the LDC System worked well for me and allowed me to pass much quicker than I was expecting it to and Andrew has been fantastic as an instructor, so easy to talk to and helped me relax and didn't make me ever feel stupid or that I couldn't do anything. I will definitely recommend him to anyone who is looking to take their test.